Having such a dense system of waterways, Georgia is one of the best places for kayaking in the US. No matter you are a local resident or a tourist from far away, paddling here will certainly become a great memory for you and your family. In Georgia, you can find a variety of water rapids, picturesque sceneries, and either relaxing or vibrating atmosphere. The question here is which the best places to go kayaking in Georgia are, given there are not one or two, but dozens of choices you may consider. Read the list below to find out the most incredible spots you can choose to enjoy a weekend kayaking trip with your friends, family, or companion pet. With the medium length of 4.5 miles and a snakelike shape, Tallapoosa River is an ideal destination for a lazy kayaking trip. To conquer the length, you will have to spend at least 4 hours. But since no one wants to ruin such a peaceful experience by rushing, your family may want to bring some packed lunch along and enjoy an outside meal on the shore. Exploring the river tangents can give you many pleasant surprises, too, given the spot is one of the most beautiful in the state. If you are into flatwater paddling, you shouldn’t miss the chance to enjoy kayaking in Crooked River State Park. You shouldn’t forget food and other supplies, since the trip on the river may be quite long. There are three trails often recommended for paddlers: Cherry Point (four miles), Harriet’s Bluff Trail (six miles), and Grover Island Trail (eight miles). 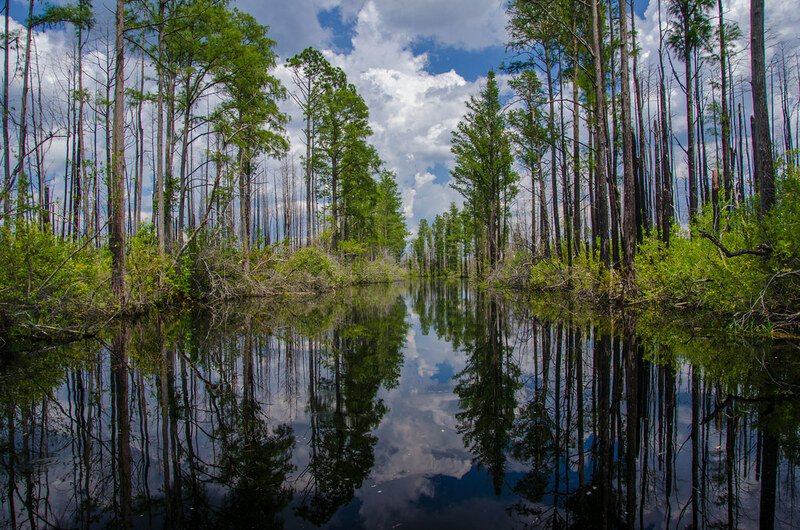 Rated as a desirable place to conquer by the Nature Conservancy, Altamaha River is one of the best places to kayak in Georgia. Its length is up to 138 miles, and there are 29 access points through which you can enter the flow. Coming to Altamaha River, you are able to admire the beauty of not only the river’s crystal-clear water but also the salt marshes and the scenic woodlands. If you are lucky enough, you may encounter some endangered species. Fort Yargo is convenient for Atlanta or Athens dwellers. The lake is bestowed upon calm, clear water that is amazing for people who don’t want to overcome hardships but enjoy a peaceful day off in nature. Besides, it’s great for starters and families with kids. Occasionally, the park host some event for kids and adult paddlers. You should check the schedule first to attend one of them for a new experience. The park also offers boat renting service, so you can hire one and try first before spending money on a kayak and take on the hobby. Flowing through several parts of Georgia, Chattahoochee will give you the best whitewater experience you may expect. This is also where the National Championships of USA Freestyle Kayak have been held. If you ask anybody who loves paddling in Georgia, they will tell you to try once at the spot. It offers a good bunch of rapids, from Class II to Class IV, which will definitely give you an exciting kayaking time. Around the area, you can easily find vessels for rent and essential gear to bring along. 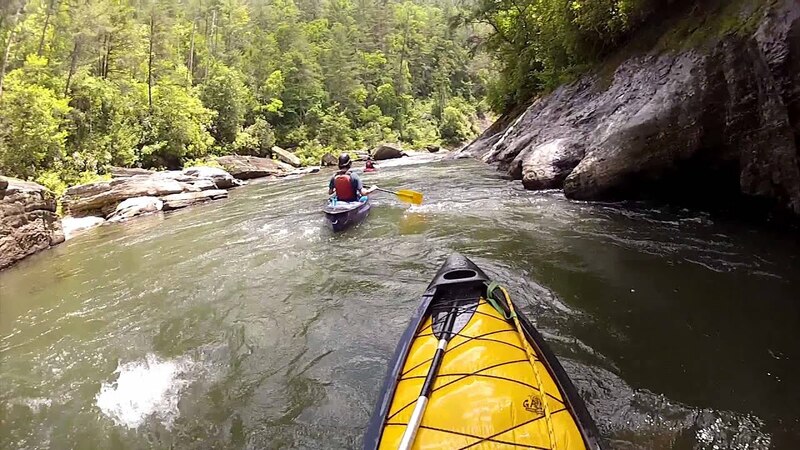 If fishing is your cup of tea, you should try kayaking on the Toccoa River. Many people choose the spot to enjoy a paddling day and a camping night outside on the shore, in the wilderness. The Class I/Class II river is one of the most suitable choices if you have a kid or a dog tagging along. If you want your trip to extend a little, you may try the Toccoa River Canoe Trail, which flows from the Toccoa River Canoe Trail to Sandy Bottom. This rives is a couple hundred miles long and has wonderful views of the water and the forest on the shore. At this spot, you may see the amazing blue hole springs, that cannot be seen everywhere. Flint River’s currents, in general, are fairly mellow, so it’s suitable to be your kids’ playground. You may extend a one-day trip to a longer adventure. Just bring a tent to camp, enough food so you don’t have to rely only on fish, an essential supply. Don’t mistake the river with the Chattahoochee. Chattooga River is pretty unconquered, and the sights here are still unfamiliar with human’s impact. In fact, it has not been obstructed by a dam, so you can hardly see residents on your kayaking trip. Located in Northeast Georgia, near South Carolina, the spot is attracting more and more paddlers each year. Of all the parts you may try to conquer, Earl’s Ford is calmer, while Bull Sluice is more challenging since it has Class IV rapids. Talking about the best places to go kayaking in Georgia, many people won’t mention Okefenokee Swamp. However, it’s one of the most incredible spots to find a beautiful landscape and a peaceful holiday. Imagine about letting yourself float along with butterflies and pretty species of birds, isn’t it too nice to be real? If you decide to come here, you should choose the Monkey Lake to start exploring, since it offers the most spectacular sights. Georgia has a good bunch of waterways that you can explore on a kayak. Being loved by the mother of nature, the state has picturesque scenery and peaceful atmosphere. If you choose to paddle as a weekend activity, the list above may have given you ways too many recommendations. I think you have chosen the one you love the most, but if you haven’t, you should consider the distance from your home to each of them from kayaking in Georgia. Try to conquer the one nearest to you first, then go on to farther destinations. Given that each of them has its own specialty, every trip will be a fascinating experience. Rosalie R. Collins – a kayaker born a suburb of Chicago, Arlington Heights, has spent most of my youth time to conquer the strange destinations, Clifden, Florida, Alaska, etc. I never think that I will stop my journeys.